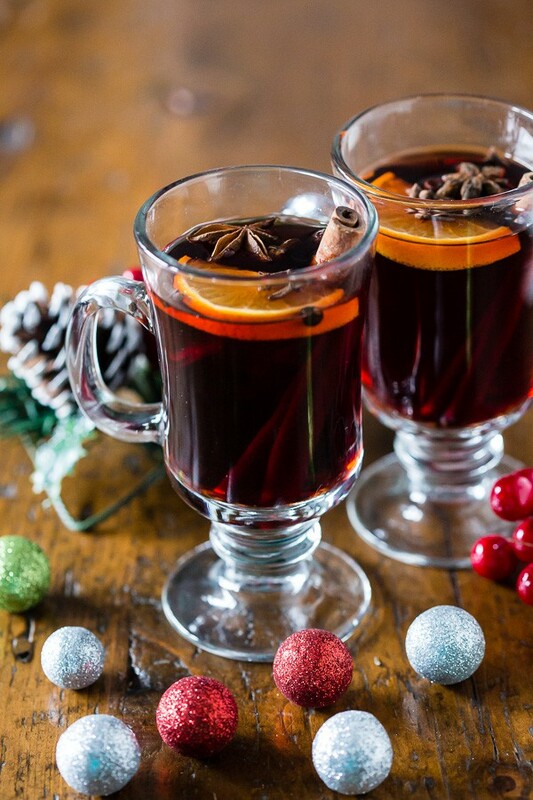 This slow cooker spiced mulled wine is perfect for large holiday gatherings. So warm and comforting it’s bound to be the drink of the season. Plus it’s kept warm all night long by heating in the slow cooker. I remember when I was a kid my parents would throw these awesome holiday parties that involved lots of drinking and playing of cards, usually euchre. I always wanted to join in on the fun and play cards too, BUT let us face it – no group of adults really want to hang out with a little kid. So I would lay down and listen in on the whole party. I would hear my parents telling dirty jokes* and in general just having a good time with their friends. *True story: When I was little I was spying on my parents and heard them tell a joke to their friends. It was something dirty that had something to do with an elephant. So in true Brandy fashion, I went to school and told EVERYONE this joke (including the teacher) not really knowing what I was talking about. Then my teacher had to call my parents and tell them all about how I came to school telling a very inappropriate joke that had something to do with an elephant and if I had to assume probably penises. I can only imagine what it was like to be my parent. I remembered thinking how awesome it must be to be an adult and how much I couldn’t wait to throw my own holiday parties. Well now that I’m an adult I throw my parties, but with a little less dirty jokes (ok that’s not true. I love me some dirty jokes) and a lot less cigarette smoking. What was up with all the smoking in the ’80s? But you know what remains the same? There is always spiced mulled wine. Side note: there is also always aged eggnog. Christmas cocktails are the best. When it’s 20 degrees outside, I need something warm and boozy. This cocktail is just that. 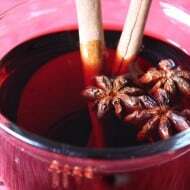 I took a dark red wine and threw in all the winter spices – star anise, cloves, cinnamon and just a touch of nutmeg. Plus, I threw in a little citrus because citrus makes everything better. Am I right? 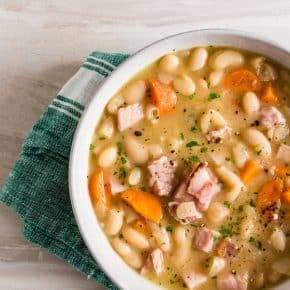 To keep it warm, I love keeping it in a slow cooker so it can be enjoyed warm all. night. long. The funny memories we have as kids 😉 All good stuff! Throwing a Christmas party is my favorite party all year long. I always wanted to join the adults when I was a kid, too. Love that I am now an adult and can enjoy this delicious mulled wine. I think I need to drink these all winter long!! What a great idea!! Love using my slow cooker this time of year. This looks so good! What a perfect holiday beverage! 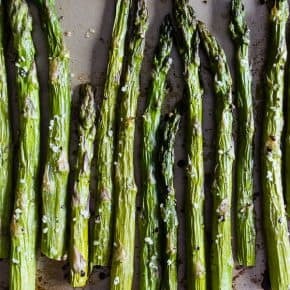 I can almost smell this through my screen – delicious! Stunning pictures too. I love the idea of having a party a tasty cocktail staying warm in the slow cooker. 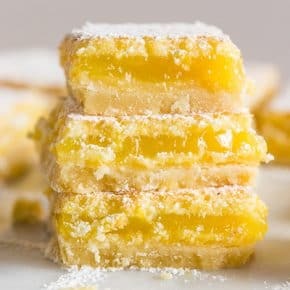 I’m going to whip up a batch of this for Christmas Eve. This does sound perfect! I want to pour a glass and cozy up by the fire. Okay now I want to know what the joke was! 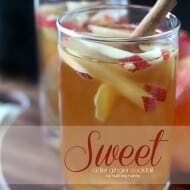 And now I need this drink to warm me up! I don’t think I’ve ever had mulled wine before! I’m dying over the story about that joke… totally sounds like something I would have done. These photos are just gorgeous, Brandy. Love that his mulled wine is made beyond easy in the slow cooker! 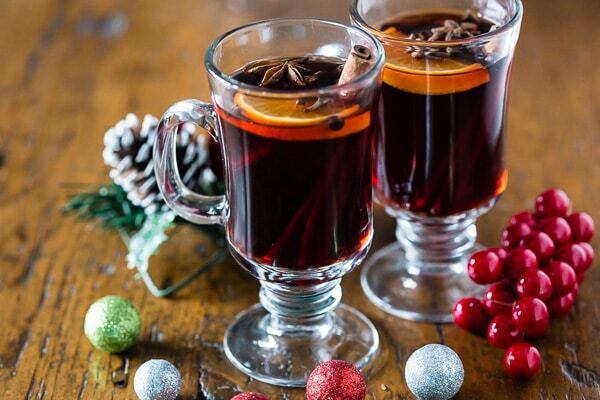 This looks so awesome, I love mulled wine!! And I love the dirty joke/elephant story, that’s hilarious! 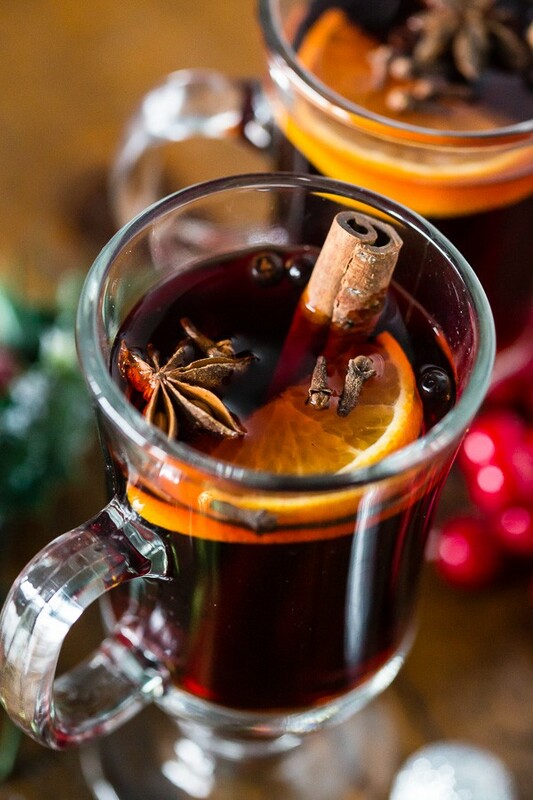 Mulled wine reminds me of skiing in Aspen…I can almost smell this, just by looking at your pictures! 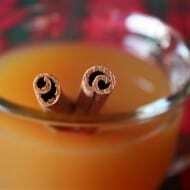 I’ve never had mulled wine, but if it’s anything like mulled cider, I’m sure it’s good. And love the story about the elephant joke — sounds like something I would have done! Yes please. I need like a gallon of this to keep me going during the holidays…. Oh yum! This sounds amazing! And I am totally cracking up over your dirty joke at school story. 😉 My dad was famous (still is) for telling wildly inappropriate jokes. I am sure something similar may have happened to me as a kid on more than one occasion, lol. I can almost smell your milled wine through my computer screen. Just love that star anise and cinnamon stick garnish. This. All of this. Looks so delicious. Perfect for this time of year! I love to do a big crockpot of mulled apple cider at my parties, but for some odd reason, it’s never occurred to me to do the same with wine. Sounds absolutely delicious, though! My son who is visiting for the holidays just asked me if I could make mulled wine. I’m so happy to have stumbled upon your recipe. It looks fantastic! I love the colors and spices in this drink!! 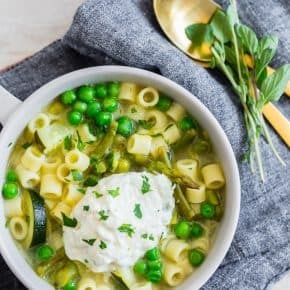 And I also love that this can sit in a slow cooker during the party! Well done! Making this for taking to thanksgiving! A couple questions: what happens to the peeled (but not pithed) orange? Does that get juiced or sliced? I’ve never peeled before either of those orange uses before? Also, I’m I could pre-steep the juices and spices the night before, but leave the brandy and wine out, then reheat and add the boozy parts at the hosts house the day of serving (so the alcohol doesn’t burn off or the wine turn with two rounds of heating and storing). Any thoughts on this idea? It would reduce all the bits and pieces to carry along (and lose track of while traveling) I think. Hi Juliana! 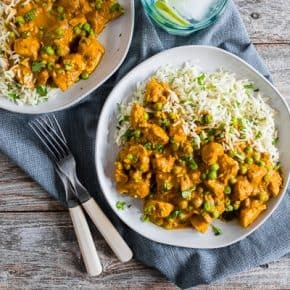 I’m so happy to hear you’re making this for Thanksgiving! One of the oranges is totally juiced and put in the mulled wine, the other is peeled. Now, with that peeled orange you can juice and add more juice to the mixture (this recipe is super customizable) or you can take off a bit more of the pith and add the slices to your drinks or just throw it right into the mulled wine. 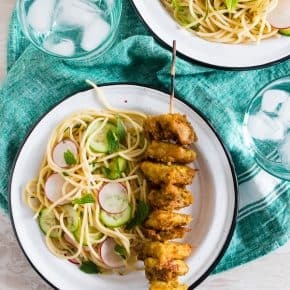 If I were taking this to a party I would just bring all the ingredients (and slow cooker if needed) and make it at the party. I would throw it in, turn the slow cooker to high and once warm pop it down to the “warm” setting. If you don’t want to do that pre-steeping the juices to ensure that slow cooked spice flavor would totally work.